This is a newest 1.25" red laser Collimator includes removable 2" adapter, Designed for accurate collimation of all Newtonian and SCT reflector telescopes. 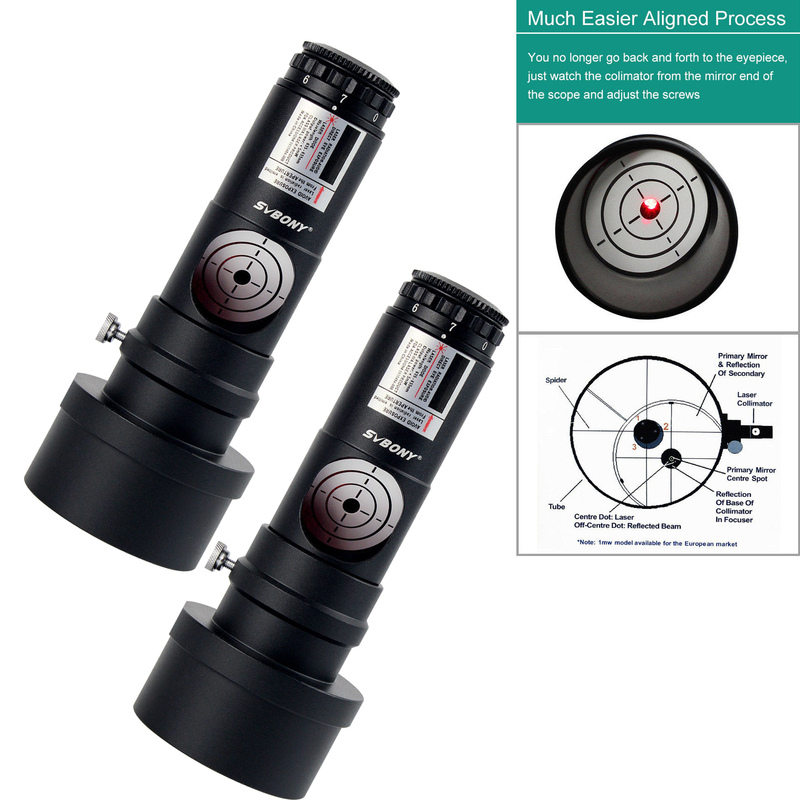 This high quality laser collimator get can help you get the better image from your telescope, just insert it into the eyepiece holder, adjust laser beam level, then adjust your telescope screw until the laser beam shoots into the target centre. The Lens material is a triple cemented to improve the stability of dot. The Lens material is a triple cemented of Lens to improve the stability of red dot. Do not look directly into the laser beam! Permanent eye damage may result! Avoid prolonged skin exposure to laser rashes or burns may occur!